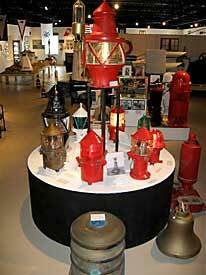 The museum currently houses the largest collection of lighthouse lenses as well as the biggest and best collection of Coast Guard memorabilia and lighthouse artifacts in the entire country. 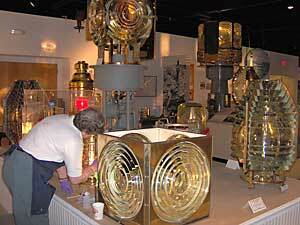 The Maine Lighthouse Museum contains the largest collection of rare and priceless fresnel lenses, lighthouse artifacts, buoys, working lights, sound signals, bells, ship models, Coast Guard search and rescue gear and lifesaving memorabilia in the country. 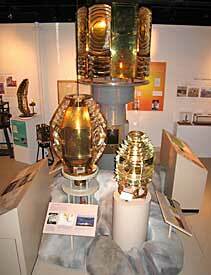 A favorite local attraction of lighthouse enthusiasts, the Maine Lighthouse Museum can be found in Rockland, Maine. It currently houses the largest collection of lighthouse lenses as well as the biggest and best collection of Coast Guard memorabilia and lighthouse artifacts in the entire country. If you have even a passing interest in lighthouses or American maritime history, then this is the place for you. The Maine Lighthouse Museum is known across the country for its fantastic lenses and heartwarming stories of the old lighthouse keepers and their families. It is in the same building as the Maine Discovery Center, Light Depot Annex Gift Shop, as well as the Penobscot Bay Regional Chamber of Commerce. It is surrounded by a ton of restaurants, art galleries, boutiques, and much more. The museum has roots dating back to 1972. 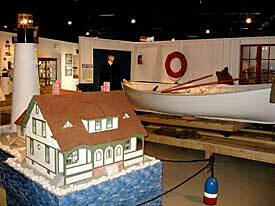 Kenneth Black, a retired Coast Guard Officer, was the founder of the Shore Village Museum, the precursor to the Maine Lighthouse Museum. He aimed to preserve the nation’s heritage and to promote the study and appreciation of maritime history for generations to come. The Shore Village Museum once housed a collection of Civil War memorabilia, maritime materials, and lighthouse exhibits that can now be found in the Maine Lighthouse Museum. The contents were transferred in 2004 when the continuously growing collection and exhibits outgrew its old home and the Shore Village Museum closed. 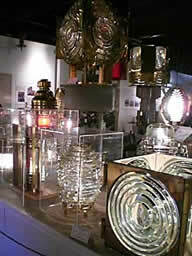 In 2005, the Maine Lighthouse Museum already presented more rare lighthouse lenses than any other museum in the country. And then later in spring of 2007, the American Lighthouse Foundation decided to merge the collection of the Museum of Lighthouse History in Wells, Maine to the Maine Lighthouse Museum as well, thus creating the largest lighthouse museum in the United States. A nonprofit educational organization, the Maine Lighthouse Museum’s aim is to educate and promote to the public America's Lighthouse and Lifesaving history and tradition, and its continuing progress through the years. 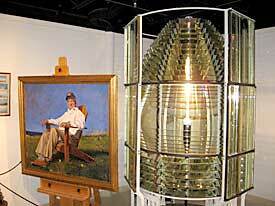 The museum has the largest collection of Fresnel lenses, a type of lens invented by French physicist Augustin-Jean Fresnel back in the 1820s, specifically for use in lighthouses. 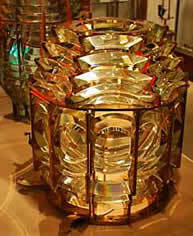 Compared to other lenses of the time, the Fresnel lens were much thinner and lighter in design, allowing more light to pass through them and making the lighthouses more visible at longer distances, serving as guides to mariners. Exhibits in the museum display different stories of bravery and dedication to the service of the men and women in the United States Coast Guard and United States Life-Saving Services. There are vintage photographs of famous lighthouse keepers such as Abbie Burgess Grant, Robert Sterling, Ida Lewis, Fanny Mae Salter, and others. Complete and detailed lighthouse models are on display here, to show what different lighthouses looked like. 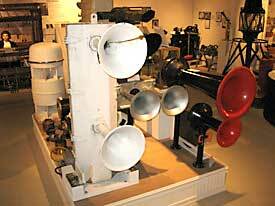 Numerous buoys, fog horns, and fog bells are also showcased, along with other prized and one of a kind memorabilia and artifacts that cannot be seen anywhere else. 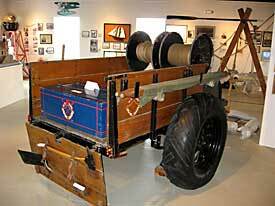 For more information, visit the Maine Lighthouse Museum at One Park Drive Rockland, ME 04841 or call 207-594-3301. You may also visit their website at www.mainelighthousemuseum.org.